ECEA Rules state an identification team has a timeline of no more than 30 school days after a referral is received to determine whether a student will be formally identified or if more time is needed to continue with identification assessment. The team’s decision should be communicated to the parent, student and other educators. This does not mean an identification determination must be made within 30 days; rather all stakeholders should receive information on intended next steps of the identification process within this timeline. A referral made for possible gifted identification does not necessarily led to the automatic administration of specific assessments. 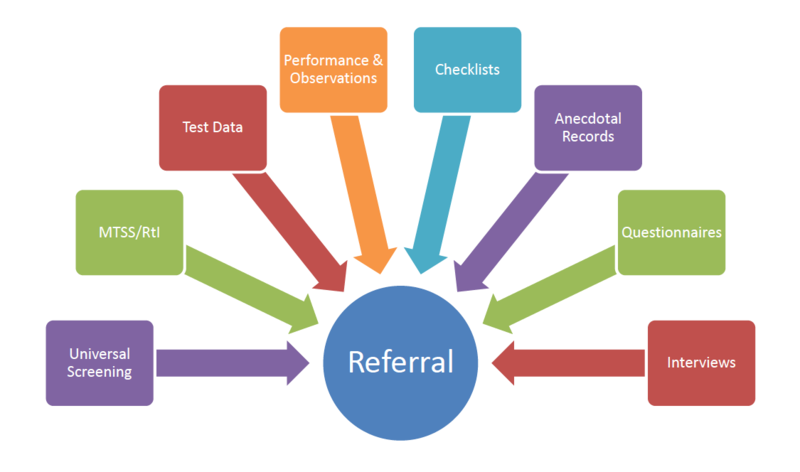 The identification team will carefully consider the referral, examine current student assessment data and determine appropriate next steps. This may or may not include administering additional tests. If you would like to refer a student for consideration, please fill out the following form(s) and provide them to the gifted teacher at your school. ​I want to refer my child. ​I want to refer a student. ​I want to refer myself.